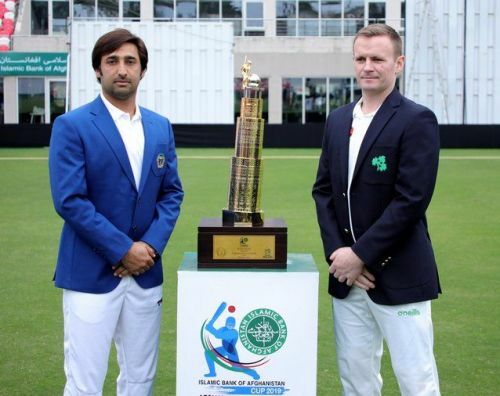 After the conclusion of the T20I and ODI series, Afghanistan and Ireland are set to collide once again for the solitary Test match at Dehradun. Two international teams, with little experience in red-ball cricket, will be looking to perform well on familiar territory. The one-off Test match is set to begin from Friday at the Rajiv Gandhi International Stadium. Afghanistan will be disappointed to have lost the plot in the ODI series ahead of the ICC World Cup. They were in a comfortable position to seal the series but failed to capitalize in the final match. Afghanistan made history last year as they qualified for the ICC World Cup 2019. This is the first time that they will participate in the mega event. With the World Cup in sight, the Afghans will treat this tie as a preparation drill. After sealing the T20I series 3-0, the ODI series ended with a 2-2 draw much to Afghanistan’s frustration. They would be eyeing to tick some boxes heading into this sole Test match. Having lost the T20I series, Ireland made a sensational comeback to level the ODI series. This will be the second international Test match for the Irish side, and they would be hoping to keep the winning momentum going. Andrew Balbirnie was declared the Player of the Series in the ODIs for his outstanding performances with the bat throughout the series. Needless to say, he will play an important role in the Test too. - Zahir Khan, the young left-arm spinner, could possibly make his Test debut in the upcoming match. - Ikram Ali Khil is set to make his first Test appearance. - Simi Singh, James McCollum, Stuart Poynter, George Dockrell and Andy McBrine are all in contention to make their Test debut. Afghanistan – Asghar Afghan(c), Mohammad Shahzad, Ihsanullah Janat, Javed Ahmadi, Rahmat Shah,Nasi Jamal, Hashmatullah Shahidi,Ikram Ali Khil, Mohammad Nabi, Rashid Khan, Wafadar Momand, Yamin Ahmadzai, Sharafuddin Ashraf, Waqar Salamkheil, Sayed Shirzad, Zahir Khan.